Red Bull Air Race has selected the VectorNav VN-300 dual-antenna GNSS-aided inertial navigation system (INS) as its primary source of aircraft telemetry data for Master Class raceplanes participating in the Red Bull Air Race World Championship. Weighing less than 30 grams, the VectorNav VN-300 is a tiny dual-antenna GNSS-aided INS. 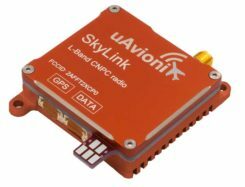 It is used in applications ranging from autonomous vehicles to antenna pointing for satellite communication and aerial surveillance applications. The inaugural event of the 2018 season in Abu Dhabi saw the VN-300, manufactured by VectorNav Technologies, used for the first time in all 14 aircraft to provide real-time telemetry data used for judging, in-race simulation and virtual reality applications. Created in 2003, the world championship has held more than 80 races around the globe. The motorsport competition combines speed, precision and skill. Using the fastest, most agile, lightweight racing planes, pilots hit speeds of 370 km/h while enduring forces of up to 10 G as they navigate a low-level slalom track marked by 25-meter-high, air-filled pylons. Pilots incur time penalties for hitting pylons, incorrectly passing through air gates or only exceeding 10 G for more than 0.6 seconds, among others. Being an individual sport, spectators need a reference to see the difference between the pilots’ lines and speed through the racetrack. Red Bull Air Race Live TV uses an augmented reality (AR) solution known as the Ghost Plane to display the trajectory of the pilots’ runs for real-time comparison in the head-to-head rounds and the Final 4 that decides the winner of the race by time. The Ghost Plane is driven by the position, velocity and attitude data gathered during flight from the onboard INS. Critical to the success of the Ghost Plane is the accuracy of the telemetry data, which, given the high dynamics experienced during flight, is extremely difficult to obtain. For example, as a plane races through a chicane and into a vertical turn maneuver, GPS signals are lost and the INS needs to rely solely on the inertial sensors to accurately estimate the position and velocity until GPS is fixed again in level flight.